BACK-TO-BACK: Tonight marks the third of eight meetings with the Barracuda this season, and the second of San Jose’s four scheduled visits to Tucson Arena. 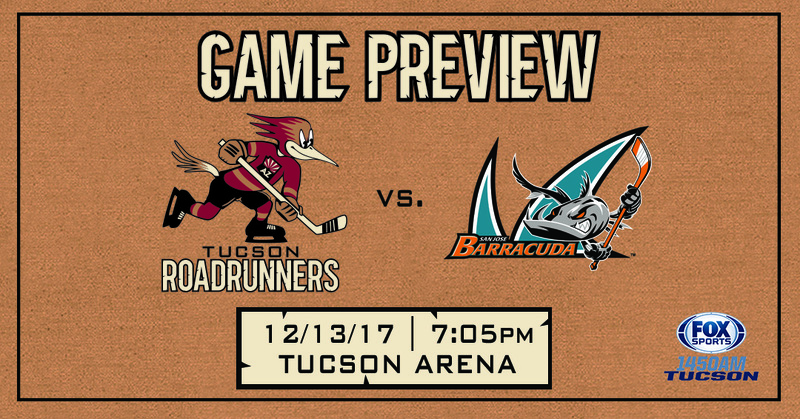 The Roadrunners are playing the final of a two-game home stand; the Barracuda are playing the final of a two-game road trip. Both clubs are coming off of a meeting Tuesday night in which the Barracuda won, 3-2. SMALL BALL: With his assist on Mario Kempe’s goal Tuesday night, Michael Bunting enters the evening with points in five consecutive games. He has accumulated seven points (2G, 5A) during that span, and has three points (2G, 1A) in two games against the Barracuda this season. Two players, Lane Pederson (November 4-18) and Kyle Capobianco (November 18 – December 3) have strung together five-game point streaks this season. MARI-OH! : Mario Kempe scored his first goal since his November 26 assignment to the Roadrunners, his second of the season. The Roadrunners will be without Nick Merkley (suspended) and Lawson Crouse (undisclosed) tonight; can Kempe step up and provide offensive production on the team’s first line tonight? HIT ‘EM AND HOLD ON: The Roadrunners lost just their third game when scoring the first goal Tuesday night against the Barracuda. They are 8-3-1-1 on the season when striking for a game’s opening tally. Can the pot the first goal again tonight, and keep San Jose’s 28th-ranked offense at bay? 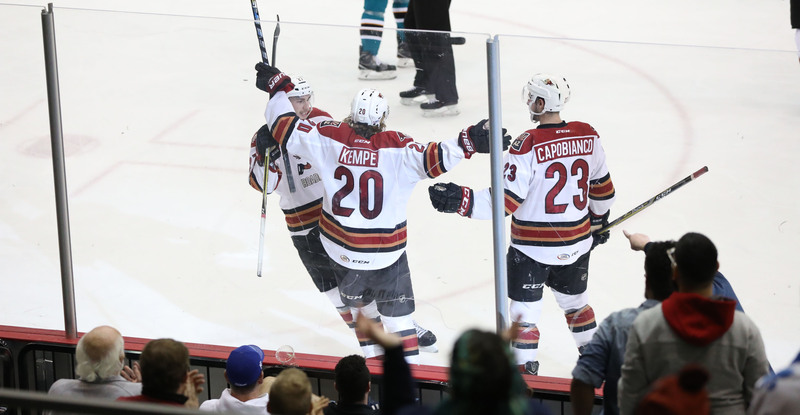 THE LAST TIME AROUND: In the teams’ previous meeting on Tuesday night at Tucson Arena, the Roadrunners fell to the Barracuda by a 3-2 score. Jens Looke and Mario Kempe scored Tucson’s goals; Hunter Miska turned away 24 of the 27 shots he faced. The Roadrunners are now 1-1-0-0 against the Barracuda this season. TIED AFTER TWO: Both of the Roadrunners’ previous meetings with the Barracuda this season have been tied going into the third period. In suffering their second regulation loss in such a situation Tuesday night, the Roadrunners are 4-2-1-0 when entering the final frame at a stalemate.